02 Nov Dragons and lumberjacks. Halloween… a ghoulish night filled with ghosts, zombies, and dragons. Wait dragons? 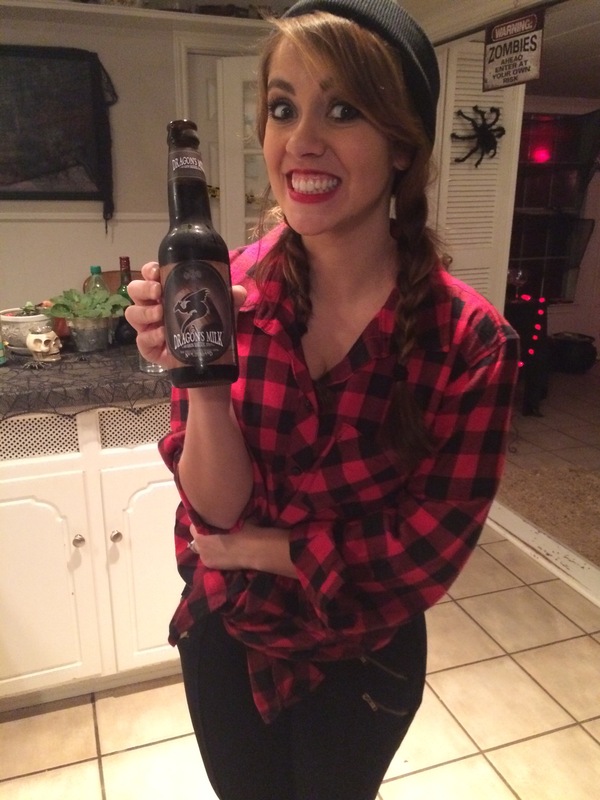 The beast nourished me with it’s milk last night in a form of a delicious aged stout. 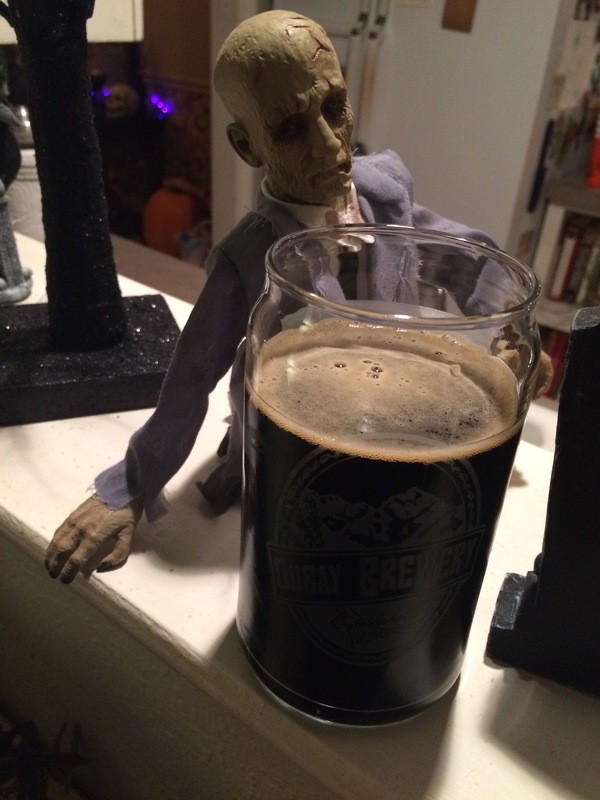 From The High Gravity series of New Holland Brewing Dragon’s Milk Bourbon Barrel Aged Stout was my beer of choice to celebrate the dead. Oh but this milk is not for the newbie stout drinker boasting 11% ABV. Those who choose to partake in the dragon’s sustenance should be ready for a woodsy journey. The taste of this beer starts out with an oaky goodness from the bourbon barrel and is then followed up with a smooth vanilla-filled caramel treat and finishes with a coffee like bitterness. This milk pours deep and slow with a molasses like color. A beautiful tan head that dissipates just slowly enough to leave me with a beer mustache to match my lumberjack costume. The other beers of this weekend included the Pumpkin Ale from BJ’s Restaurant and Brewhouse and a few of Revolver’s High Brass Blonde. This blondie is an easy drink to for the rest of my night.It has light vanilla kick (perfect after my Dragon’s Milk) and crispy hops. But, Revolver has never denied me of their malty touch which was first introduced to me through their Blood and Honey. As for the Pumpkin Ale, it was a pleasant surprise. 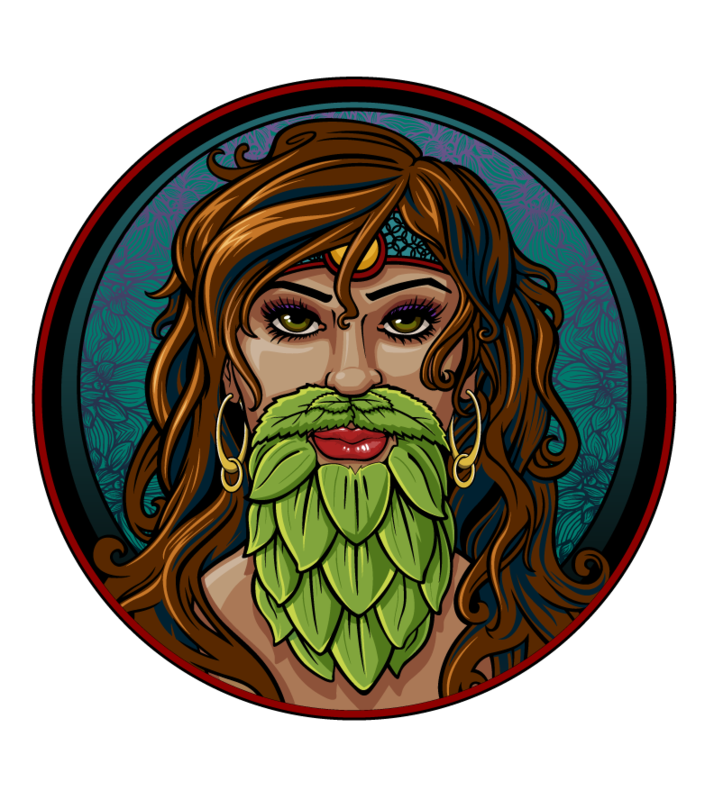 The look of this beer is amber in color and transparent in appearance, the first whiff was the deep spiciness aroma of pumpkin pie with its cinnamon, nutmeg and cloves followed by a similar taste. The sensation was notable, I could taste the warmth of the pie but it was delivered in a cold bubbly beer. Remember the best way to enjoy your beer is with the people you love. This halloween was spent with good friends at a great house party. They have listened to me talk about my experience with beers forever and I thank them for letting me talk their ears off. I always find satisfaction when they ask me what beer they should choose at da bar. Stay tuned for next week! 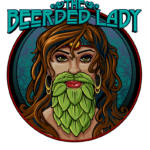 The bearded lady will be attending the Untapped festival in Dallas!